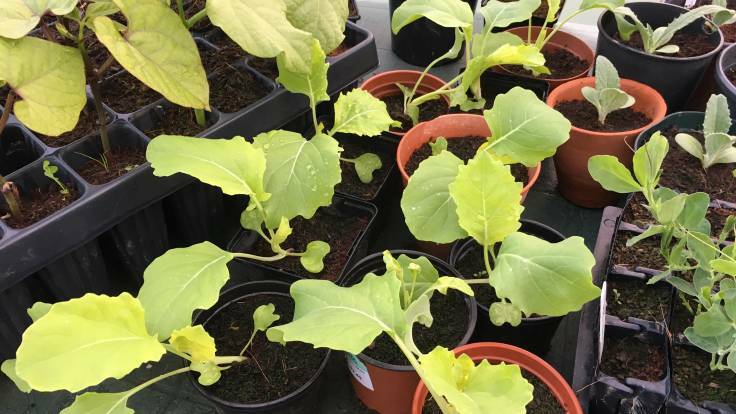 A surfeit of Asturian Tree Cabbage seedlings from The Real Seed Catalogue. I think they’re going to be like collards but I’m not sure. Three in the ground already. If you want one, let me know and I will enter you in to the Amazing Asturian Tree Cabbage Prize Draw! (collection only 😉).